LEARN ACCOUNTING STEP BY STEP WITHIN 15 HOURS OR LESS. True accounting knowledge must be gained through practical work in addition to reading and that is the format and theme of this accounting book and in this sense it is more practical when compared to other accounting books. Just as one learns how to drive a car by practice, the same applies to learning accounting. The format of the book mirrors the real world activity. In addition, each chapter progressively builds on the previous chapter. Each chapter is brief, keeps to the practical points illustrated and takes about 1 hour or less to complete. In all you can complete the book in 15 hours or less. To show you what the lessons will be like, a sample e-book is available free and without obligation. In the sample e-book you can view all the chapters and can do the first exercise all for free and with no obligation (Please click Free Downloads for the free accounting book). 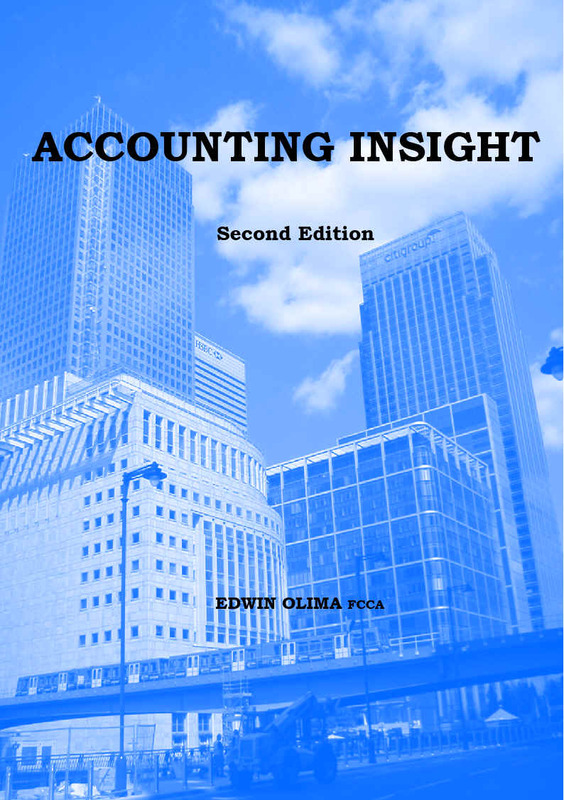 You can also view the contents of the accounting book below. If you like the book and would like full access to the accounting book, please click "Buy E-book" to purchase full access safely via Google Books. If you prefer a Printed Copy please click "Buy Print Copy". "Accounting Insight" uses the every day records (the sales invoices, purchase invoices, bank cheque and paying-in books e.t.c.) of a sample business case to guide you through the preparation of accounts. It is a fact that these everyday records account for the majority (over 90%) of the accounting transactions of the average business . So by using the knowledge in this book you can do a lot of the bookkeeping/accounting for a business. In addition, the sample sales invoices in the e-book can be used to practice using the free trial accounting software from companies like Intuit Inc or Sage - see FREE downloads. -Acquire a clear understanding of the cornerstone of all accounting/book-keeping through practice thus aiding ones business or accounting career. -Learn how to keep business accounting records for life. -Learn at your own pace without the distractions and stresses of the work place. -Understand the double entry concept of accounting the easy way. Learning by doing and using colorful samples makes this course a practical, memorable and stimulating acquisition of essential knowledge for business people, accountancy trainees and anyone who needs or wants to understand accounting and accounts in their profession or work. With no external pressure you can learn accounting at your own pace and in your own time - an excellent way to learn. All without the stress of the work place. The language used in the book is mainly non-technical and so anyone can gain a useful insight into accounting easily. Any technical terms are introduced from their ordinary origins, thus making the book suitable for non-accounts staff and managers who need to understand accounting as part of their work. This accounting book is excellent as training material on its own, for use in practical accounting courses, accountancy courses or bookkeeping courses and as practice material for training staff on how to use new accounting software - see Free downloads for details. So if you are looking for accounting courses, accounting books or accounting software you have found a useful starting point. On sale at this website are the E-Book version and a Print copy version which ever suits your needs. Please have a look at the other benefits of using this accounting book and also see if the accounting book is for you. See what others say below. Below are a few comments by others who have found the book useful. "I will surely recommend your book to customers. I now use it to train my new staff." Coker Isah & Co - Chartered Certified Accountants & Management Consultants, London. "...introduced me to your book last year, which I found very useful. ...this book will help the project team understand the financial structure." IT Purchasing Manager, Haymarket Publishing Services Ltd. Some Comments from EBay Customers/Entrepreneurs who bought Accounting Insight to Learn Business Accounting in 15 hours!